Author Bio: Nate Andorsky is the CEO of Creative Science. He spends every day thinking about how to use behavioral economics in the digital space to help nonprofits move people to action. He was born to be an entrepreneur and is certain he would be fired if he ever worked for anyone but himself again. You can find him on LinkedIn here and he’s on Twitter @NateAndorsky. Our mission at Creative Science is to leverage behavioral economics to build strategies, campaigns, and technology for today’s most important causes. Behavioral economics is the marriage of psychology and economics; it is founded on the understanding that humans do not always make the rational trade-offs economists would expect them to. Rather, we act in predictably irrational ways. Behavioral economics provides a framework to help us understand why people make decisions. Because the tenants of behavioral economics have such a significant impact on how, why, and when people give, understanding this field of thought is essential for those in the nonprofit world. In this post, I’ll describe the five theories from behavioral economics that I think are the most critical for you to understand so you can make sure your nonprofit organization doesn’t get left behind. The identifiable victim effect is exceptionally important for nonprofits who help people to understand. Ignoring this theory leaves money on the table, hands down. Karen Jenni and George Loewenstein first published this theory in 1997. They conducted studies showing people tend to offer greater aid when an identifiable individual victim is presented as being under hardship. When people consider the plight of a single victim, they empathize with that specific person and they respond more strongly and emotionally than if they’re told the plight of even two or three victims. One of the most powerful ways you can captivate potential donors’ attention is to tell and show them one individual victim’s story. This increases the likelihood that they make a donation. The more similar the victim to the individual or someone the individual knows (gender, geographic location, age, name, etc.) the more powerful this effect. We created a landing page for the Campaign for Tobacco-Free Kids that expertly leverages the identifiable victim effect. This image presents a specific person, which elicits feelings of empathy. Notice the intentionality of being able to see the victim’s eyes. The eyes hold a vast amount of information about one’s emotional state and deepen our connection to this identifiable victim and thus our desire to donate to this nonprofit. Anchoring is the behavioral economics theory that shows someone’s initial exposure to a number serves as a reference point and influences their subsequent judgments about value. You start with some anchor, a number you hear or see, and then adjust it in the direction you think is appropriate. Anchoring can also be thought of as the human tendency to rely too heavily on the first piece of information that an individual receives (called the “anchor”) when making a decision. Once this anchor has been established, there is an overall bias toward interpreting new information around this anchor. For example, when you’re told something used to cost $149.99 but it’s now on sale for $99.99 you think it’s a great deal! You only think this is a great deal because of the information you have about the “regular” price. How much a donor gives to a nonprofit can be significantly influenced by a strategically placed anchor. Taking the time to understand anchoring and employ it effectively will serve your nonprofit well moving forward. For example, anchoring can be used when presenting various donation options or giving levels. Presenting donors with options of making a $1, $3 or $5 donation can result in lower donation totals than if you present $3, $5 or $10 donation options. You’ll see the anchoring effect even more starkly when you compare what people donate when they see a $1, $3, and $5 donation array against what they donate when they see a $30, $50, and $100 donation array. If someone would donate $20 to your nonprofit and the pre-listed options are $200, $500, and $1,500, they may think you don’t care about their $20 and decide not to donate after all. You want to avoid this scenario. Determining what should go in your donation array should involve testing and iterating. The image below is a screenshot of a donation page we created as an example design composition for the fictional nonprofit Africa Reads Now. This uses several behaviorally-informed techniques, but the anchoring plays out in the fact that the $200 donation is a different color than the others. It is highlighted and thus becomes the reference point in our minds. We are also anchored in part by the lower bound ($50) and upper bound ($500) donation amounts. Our minds adjust the amount we choose to donate, using these amounts as reference points. The reciprocity effect occurs because people tend to respond to a positive action with an additional positive action. This ultimately rewards acts of kindness. Further, it means that in response to friendly interactions, people are more likely to be much nicer and cooperative than one would expect from the self-interest model. When donors give it is imperative to close the reciprocity feedback loop by clearly communicating how their donations are helping further your cause. While your donors won’t expect a physical item in exchange for their contribution they should receive an emotional warm-glow feeling after they’ve donated. Make sure to clearly communicate back to donors the impact their donations have made and that their contributions are appreciated. This closes the reciprocity loop and encourages more donations. Too often nonprofits accept donations and support but do not communicate back to their supporters the impact of their assistance. Reciprocity is about creating a positive feedback loop, not engaging in a transaction. Be very careful with giving small gifts as a sign of appreciation. These can make the donation feel transactional and can crowd out the positive effect of altruism. If you do want to give your donors a small gift, the best way to do this is to give it unexpectedly. This will engender further reciprocity. The herd effect is the tendency for people to follow the behavior of a larger group. Social psychologists have been studying the human tendency to act as part of a group or mob since at least the 19th century. Our tendency toward herd behavior is present in our consumer behavior and in the ways we interact with each other. The herd effect is also part of our desire to fit in with social norms. We want to make socially desirable decisions and are attuned to what other people are doing, i.e. keeping up with the Jones’. Here’s a story of how this has played out in a field research setting – scientists at the University of Leeds instructed volunteers to randomly walk around a spacious hall without speaking to one another. A few of the volunteers were given specific directions in advance of where to walk. Those who were given specific directions ended up influencing the people who were not. The key finding from this experiment was that it only takes about 5% of people who appear confident to influence the direction of the other 95% of the people in the crowd. The volunteers who didn’t receive instruction followed those who did without even realizing it. Human beings are social creatures and herd behavior is one of the most powerful influences in our society. Social feeds on a website are a great way to leverage this theory. Consider posting photos of current supporters to your website (with their permission of course!) to showcase the people supporting the cause. Encourage supporters to post to social media about how they’re helping your nonprofit. If you want to check out a great example, GoFundMe expertly leverages the herd effect on their donation pages. ONE Campus, an initiative from the ONE Campaign, also leveraged the herd effect by holding a competition among different colleges to see who could raise the most money. A public facing website showcased a leaderboard that was updated in real-time. This strategy leveraged the herd effect to incentive colleges to compete against one another which helped to catapult action. People are insensitive to the scope of the problem and they have a hard time really understanding what large numbers mean. This has been demonstrated in a research study that showed the number of lives saved (referred to as the scope of the altruistic action) has little effect on the donor’s willingness to pay. No human can visualize 20,000 lives, let alone 200,000 or 2 million. Researchers have found that an exponential increase in scope creates a linear increase in the donor’s willingness-to-pay. So there you have it! The identifiable victim effect, anchoring, reciprocity, the herd effect, and scope insensitivity. Five of the most important behavioral economics theories for nonprofits to understand. Leveraging these theories in your nonprofit’s fundraising efforts is absolutely critical to keep your organization from being left in the dust of other savvier nonprofits. Nate Andorsky is the CEO of Creative Science. He spends every day thinking about how to use behavioral economics in the digital space to help nonprofits move people to action. He was born to be an entrepreneur and is certain he would be fired if he ever worked for anyone but himself again. Over the course of this post, we’re going to look at each of the 3 online fundraising metrics and look at a few key strategies to growing each one. But first, it’s important to understand why these 3 metrics are so important. If we’re being honest, the only online fundraising metric that really matters is revenue. But just saying “I want to improve my revenue” doesn’t really give you a starting place for how to improve your revenue. So we have to dig a little deeper. 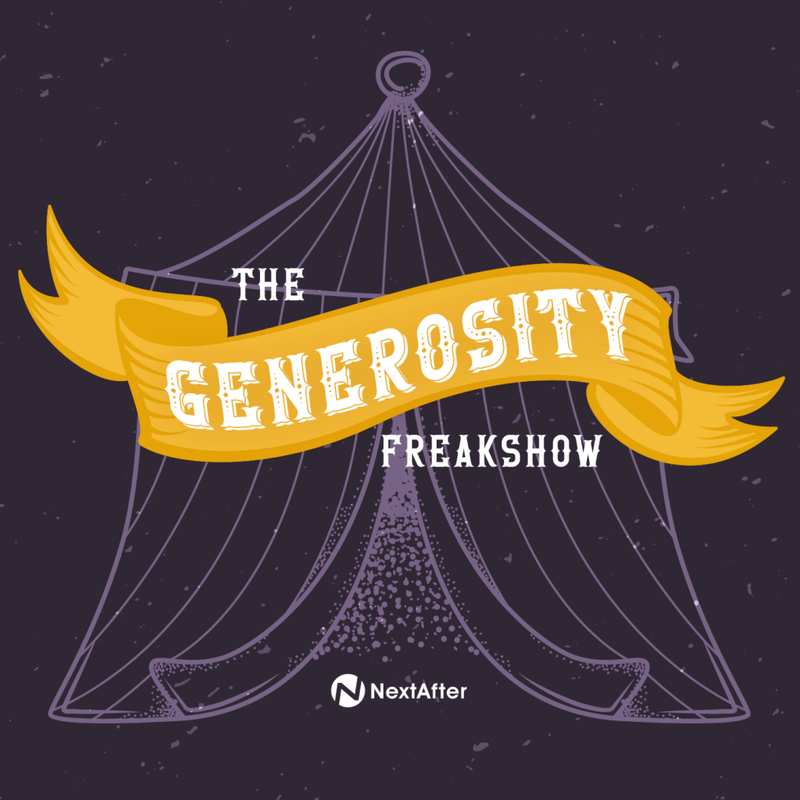 If you get more people to show up to your website, and the same percentage donate to you and they’re giving the same amount – your revenue goes up! In the same way, if you don’t change the amount of people coming to your website, but you get a higher percentage of people to donate at the same average amount – your revenue goes up! And if you all you do is get the same donors to give a little bit more – your revenue goes up! Now imagine you got more people to show up to your website, and a higher percentage of them started giving. Your revenue is going to grow like crazy. And if you were able to get more people, to donate more often, and donate in larger amounts…you won’t even know what to do with all the new revenue you have. Imagine the impact it could have for your cause. These 3 online fundraising metrics – web traffic, conversion rate, and average gift – should be the driving force behind all of your online fundraising decisions. If your new campaign idea isn’t going to affect one of these fundraising metrics in the long run, is it really worth it? Let’s take a closer look at website traffic. This is one of the hardest online fundraising metrics for a nonprofit to improve – especially if your traffic is really low to begin with. Why is it so hard? Because it often takes money and a healthy budget to boost traffic. But I’m going to share a couple options that don’t require you to enter a credit card in order to boost your traffic. If you want to spend money, there’s a million ad platforms willing to help you out – although I’d recommend that you start with Facebook if you’re looking to acquire donors. While I certainly don’t have time to break down exactly how to spend your Google Ad Grant, we have a webinar that can give you all the details and a little bit of coaching on the best way to put the Google Ad Grant to work for your organization. You’re probably familiar with the term SEO (search engine optimization). Essentially, this is the practice of improving the content on your website so that it shows up when people search for related topics. For instance, if you search for Nonprofit Fundraising Optimization, we should be right there at the top. Want to know the secret formula we’ve used to rank at the top for that keyword? We create good content related to nonprofit fundraising optimization. Plain and simple. Are you targeting a specific keyword? Does that keyword show up in your headline? Are people who visit your page spending time there? But at the core, if you create good content that’s relevant to your cause, you’re going to show up when people search for topics related to your cause. Looking for some specific strategies to boost your SEO? Check it these ideas from Andy Crestodina on how to improve your search rank and get more traffic. Email your donors with your latest blog posts, articles, podcasts, etc. Once you’ve got the web traffic rolling in, you want to make sure those website visitors are converting into donors. 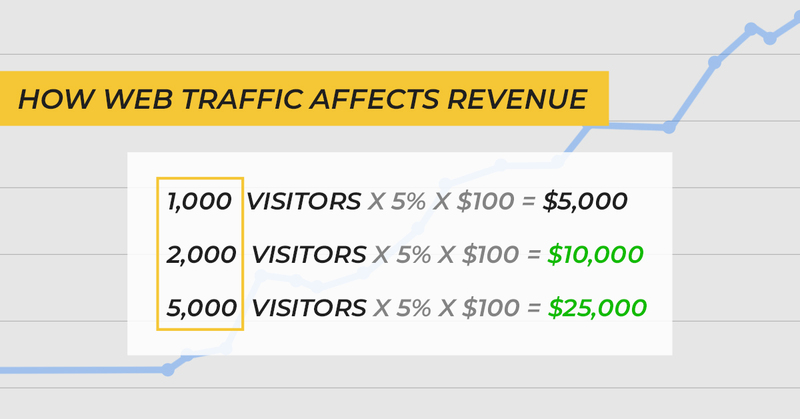 There are a number of areas you can look at optimizing to improve how many visitors are converting into donors, but we’re just going to cover a couple key areas. One of the most common mistakes is to bury your “Donate” button in a place where no one can find it. And sometimes, these “Donate” buttons can be hiding in plain sight. For example, we conducted an experiment with an organization whose “Donate” button sat in the top right corner of their website navigation. That’s a pretty normal spot to find it. The problem was that it was the same color, size, font, and style as everything else in their website navigation. Sure enough, making the “Donate” button stand out led to a boost in traffic to the donation page. But more importantly, it led to more donations. By making it easier for someone to find the donation page, we saw a 189% increase in donations. This strategy is a bit trickier. It’s easy to change the color of a button. But understanding your donor’s motivation is a bit more nuanced. Not all donation pages are the same. One major lesson we’ve learned through 1,473 experiments is that there are (at least) 3 core types of donation pages. Each one aligns with a different donor motivation. We have a whole online course that gets into all the details of these pages. You can check out the course here if you’d like. But let me give you a quick little summary. General donation pages have a wide variety of traffic and motivations. Campaign donation pages have a more specific motivation. Instant donation pages are a replacement for your normal confirmation pages. The last key online fundraising metric that’s essential for nonprofits to track and optimize is average gift size. Average gift size (for online fundraising) is your total online revenue divided by your total number of donations. For instance, if you received $10,000 in donations this month, and you had 100 total donations, your average gift size would be $100. This key online fundraising metrics is arguably the hardest of the 3 to control. You can’t just spend more money on ads like you can with web traffic. And swapping the color of a donate button doesn’t necessarily make people more generous. The common factor in increasing average gift size is your value proposition. Now, you could make a solid argument that more complex online fundraising metrics like donor retention play a big factor in average gift size. And they likely do. But the way shape and craft your value proposition is the easiest factor to control. And the way you answer this question in your emails, in your advertising, and on your donation page directly affects the likelihood that someone will donate. But your value proposition also can affect how much they donate. One organization we work with has a very unique service they offer…they provide websites for people going through health crises so that their loved ones can keep up with them on their health journey. This unique service makes it hard to ask for donations in a traditional sense. They don’t raise money to cover medical costs – they raise money to provide their service to more people for free. The treatment version increased donations by 44%. But it also increased average gift size by 16.2%. Not only did improving the value proposition lead to more donations, it led to larger donations. Now that you’ve seen the power of all 3 of these online fundraising metrics to increase revenue, you need to figure out where you stand. Is your web traffic low? Or are you just not converting enough of your website visitors into donors? Or…maybe you have a lot of people donating, but they’re giving very little. If you’d like, you can actually, watch the entire session in the video below. And if you want to be there next time for more high-quality, field-tested wisdom like this to optimize your digital fundraising success, sign up for the next Nonprofit Innovation & Optimization Summit! People don’t do things because it’s the right thing to do. And they don’t do things just because they’re told to. You’ve got to persuade them — and copywriting is the language of persuasion. The rest of this post will look at 4 reasons why your ideal donor often says “no” to donating that can be overcome with better copywriting. Why is your ideal donor saying “No”? This starting question makes you more inquisitive and more critical of your copy. It helps you to eliminate the barriers that stop your donors from giving. Here are the four most common barriers donors have to giving to you. They can’t see your offer. The first reason donors don’t give is because they can’t see the offer clearly. It may sound crazy, but the truth is there are a lot of funny things we do that hide our offer from the donor. Often we try to be too clever with our words, passionate in our tone, or too emotive in our message. Donors get lost in it and don’t see what you’re asking them to do. Don’t try to be mysterious or clever in your copy. Tell your donor what’s going on in simple language. Take this email experiment for example. In the control email subject line, we’re trying to arouse the donor’s curiosity. But in the second email line, we get a little more direct and tell the donor what’s inside the email. It’s about the best stuff we’ve read this week. There’s still mystery, but the donor now knows what kind of mystery it is. The second email saw a 26% increase in traffic. Whatever. Give if you like. Don’t give if you don’t like. Either way, we’re fine. We’re “easy oasy”! But do you see what happened in this experiment when ambiguity was removed, and the call to action was clearly articulated? There was a 78% increase in conversions over the “easy oasy” control. Don’t hide your offer in ambiguity. That’s why you’ve got to use your copy to address those false beliefs and show them why they’re wrong. This is demonstrated in the results of an experiment we conducted with a public policy group that was gathering signatures for a petition. The objective of the landing page was to thank the petition signer and persuade them to top it all off with a donation to the cause. In the control, the offer is clear, but it doesn’t emphasize just how much the donor’s gift will mean for the cause. The new donation page that emphasized how critical the donor’s participation is produced a 125.6% increase in revenue compared to the control. So tackle the false beliefs your donor might have straight on –and remove them one by one. They don’t think what you do is important enough. When a donor hesitates to give because they don’t think your work is important enough, it’s usually because the copy does not articulate the impact of what you do well enough. There are a few levels of showing impact in your copy. Here’s an example of an organization that provides food to families in areas where disaster has stuck. First, they can show what their organization can do with the gift. For example, a donation of $35 can provide enough food to sustain a hungry family for a month. Second, there’s the impact level of what the family is able to do when this basic need is met. Having this need met means the family doesn’t have to split up to find food. They can be together, comfort each other, and ensure each other are safe. And lastly, there’s the final level of impact that shows the ultimate outcome for this family. The donor is providing peace of mind, less stress, and one less difficulty to sort out as they figure out what’s next. All of this, for $35. And that sounds a whole lot better than just buying some cheap groceries. Your copy needs to remind donors of the impact their gift can make using examples of each level of impact. This increases desire in your donor to give. We live in a broken world with many nonprofits that mishandle donor gifts or simply aren’t able to make a significant impact with the funds they’re given. Understandably, many donors don’t blindly trust the claims of organizations or businesses for that matter. To get around this barrier, write copy that shows how you’re different than all those other organizations without calling them out or criticizing them. Identify potential frustrations your donors might have with other organizations (that shall remain nameless) and show them why they can trust you to be different. We call this exclusivity, and you can read more about it in our research study on nonprofit value proposition. One frustration many donors have is that organizations can be impersonal and corporate-like. So in the experiment below, we took a standard email appeal and stripped away all the corporate branding and imagery. You can see in the test email that without all the corporate brand elements, the email looks more personal, like it came from a friend. Friends don’t use logos when they send emails. They just type. The more personal email saw an 80.3% increase in traffic by addressing a common donor frustration. You don’t have to go head to head with “competitors” and explain why your organization is better. You just have to identify frustrations and then show how your organization is uniquely equipped to serve your cause well. There’s so much more! But I can’t fit it all into a single blog post. Every speaker session from the 2018 Nonprofit Innovation & Optimization Summit is available to you watch for free. These 16 speakers have tips and ideas related to search, analytics, data, copywriting, recurring giving, advertising, and much more. David JP Phillips, made famous by an incredible Ted Talk called How to Avoid Death by Powerpoint, was one of the most raved about speakers from the 2018 Nonprofit Innovation & Optimization Summit. After his talk, he sat down with Brady Josephson to talk about nonprofit storytelling and the science behind what makes an effective story. You can hear David JP Phillips’s insights into nonprofit storytelling science in this episode of The Optimization Insider. Your general donation page (or main/primary donation page) is the cornerstone page of your online fundraising program. If someone organically visits your website with the intention of giving, they’re going to land here. Visitors to your general donation page tend to have the highest motivation of any other online traffic source. With this level of motivation, you would assume a general donation page would have a 99% conversion rate. But in reality, we consider pages that have a 30% conversion rate to be successful. What Does Google Have to Say About General Donation Pages? There are a few common threads in each of these articles. First, each article broadly assumes that there is one donation page to rule them all. Second, there is no supporting data to back up why any of these “best practices” are better than anyone else’s best guess. Blindly applying these “best practices” is about as reliable as flipping a coin. The answer to this question is the most important distinction between a general donation page and any of the other types of donation pages. A highly motivated donor wants to do one thing: donate. So anything we put between them and the donation button is friction that could knock them off the path. So you’re saying I should just have a page with a super simple form and nothing else? Well, not quite. Because there’s flip-side. As human beings that are constantly calculating risk, these highly motivated donors are also second-guessing their choice and looking for reasons they should turn back. To combat this, we have to give our donors reasons to keep going and to complete their donation. We call this the value proposition. So I need a simple page, with a clear value proposition about why they should give? Yes! But the way you craft you value proposition on a general donation page is very nuanced. My friend and colleague Jon Powell likens it to the message in a fortune cookie. That fortune wouldn’t be believable, unless you happen to be heading to the car dealership after you finish your meal. It’s too specific to be believed. That fortune is broad enough to apply to everyone reading it, but it’s not really a fortune. It’s just a statement of fact that tells you basically nothing. What the heck do fortune cookies have to do with a general donation page? Great question. And it’s one I asked of Jon when he first told me this analogy. The people visiting your general donation page have a high motivation, but the specific motivation can vary significantly. If your message (or fortune) is too specific to a particular campaign or initiative, it’s not going to apply to the vast majority of people considering donating. If your copy just says “Give a gift today” or has too vague of a value proposition (i.e. “A gift today will make a big impact.”), then you’re going to lose the donation. You have to provide real value statements about what a gift is going to accomplish. How Do I Find the Sweet Spot? Let’s go back to the fortune cookie. Here’s a great example of a fortune. As you can see in the caption, the original reader saw the application of the fortune because their wife was pregnant. The short stranger would be their new born baby. But this same fortune could apply to anyone who might be considering getting a dog or a cat. It could be that someone meets a new friend who is simply shorter than they are. Honestly, you could make up a ton of different scenarios that work. Your general donation page copy needs to work in the same way. It needs to be broad enough to appeal to the majority, and it needs to be specific enough to be believable. Getting the copy right is the hardest part. And it’s something you’ll have to test to make sure you’ve hit the sweet spot. That’s a lot of donation page ideas. Do you have a template? We’ve outlined 19 elements on a printable poster that you can download for free, print out, and keep by your desk. We don’t like to call it a template because we’re always learning new things that can affect the performance of your page. And more importantly, you should always test new ideas to see exactly what effect they have on your donors. Use this free guide as inspiration the next time you’re dreaming up a test on your general donation page. Fill out the form below to get your free copy of the General Donation Page guide. The hot topic of the day is GDPR. So I’ve been trying to do my fair share of research on what it means for nonprofits over the past month (yes, I’ve been procrastinating on getting up to speed). No one wants to definitively say anything about the effect that GDPR has on nonprofits. Don’t get me wrong, there’s an insane number of articles and pages that dive right into the weeds of the legal jargon. But the people able to interpret what that means for the average marketer or fundraiser are few and far between. While we’re certainly not a legal expert on the ins and outs of what GDPR means for your organization, we are experts at putting the regulations to the test and seeing what impact it could have. So we identified the express consent rules that GDPR requires companies and organizations to abide by, and put them to the test on a major nonprofit’s email acquisition page. Part of the GDPR requires that companies and organizations obtain consent from a user in order to send email. Seems straight forward. You may be saying (like I did initially) “Oh, that sounds like CASL a couple years ago. No big deal.” CASL actually allows you to get away with “implicit consent,” meaning that if someone downloads an eBook, signs up for a course, signs a petition, etc. – they have given you implied consent to email them. *Disclaimer – there’s a lot more to GDPR compliance than just giving consent to send emails. Here’s a pretty good high-level summary of everything it requires. There was also a little checkbox below where someone could opt-in to a specific email newsletter. It looked pretty similar to our email acquisition landing page guide. “By requesting the resource, I understand that I will receive access to the Guide to the Constitution and occasional updates from [Organization]. If the user checked the box, we could email them later. If not, well…we can’t. Your gut instinct is probably right on this one. The GDPR compliant language decreased acquisition rates by 15%. If you want to know more about why this decrease occurred, check out this article on the 7 types of friction. The reason is probably a combination of decision friction, field number friction, and maybe a little bit of anxiety. The bad news – This kind of drop in acquisition leads to revenue loss as well. If you aren’t adding as many to your email file, you won’t have as large of a file to ask for donations to your cause. Plus, you lose out on instant revenue from your instant donation pages. And if you don’t comply, you could potentially face some pretty insane fines. There’s a lot of debate on how compliant you need to be if you’re not in the EU, but it’s better to be safe than sorry. The good news – The likely scenario is that you have a slightly higher quality email file as a result of express consent. We often see that as friction increases, quality increases because only users with a higher motivation will make it the end of the acquisition process. Here’s a post from Jeff on how motivation and friction work hand in hand. The other good news ­– GDPR is not the end of all hope for fundraising optimization and growth. In fact, optimization and testing could potentially help get us to a place where these requirements don’t really make a significant impact on acquisition rates. Or at least not as substantially as a 15% decrease. Decrease additional friction ­– Remove the second checkbox for the newsletter opt-in to see if simply the presence of a second checkbox was the key element of friction. Certainly, there are many more hypotheses we could test. And we will. If you want to see more details from this experiment, you can read the full GDPR compliance experiment write up. And if you want to enter full legal counsel mode…you can read the full text of the GDPR regulations.